Here is a Mexican food restaurant with a drive thru in the heart of San Ysidro that unbelievably has no other Mexican food places for competition in the immediate area. Hard to believe, so go check it out. The nearest competitor is miles away. This place has a great drive thru with easy in and out access in addition to the highly visible and easily accessible two main entry ways. Located in an area with lots of foot and vehicle traffic you can’t go wrong with this concept in this area. Current owners keep this location immaculate. The kitchen is spotless and has all the equipment you will ever need to continue this concept or change out to something of your choosing. Sales continue to trend up and they are currently doing over $500/day. It is all walk-in/drive thru word of mouth. They have yet to spend a penny on advertising. The area is ripe for the pickings; a big name could come in and rule the area just as easily as a skilled small unit operator. Bring a marketing plan, continue cooking the awesome food on the menu, provide great service and this place will be gold mine. 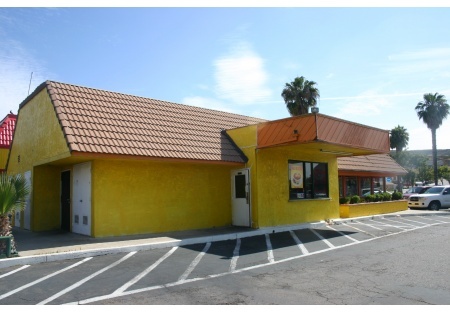 Rent for this nearly 2000 square foot space including NNN is only $3500 per month. Landlord is looking to do a brand new lease with the new owners, so sharpen your pencil and let the negotiations begin. If you are thinking south bay or Mexican food or both you need to get down here and see this place in person, you won’t be disappointed.